The sun came out around Budweiser Gardens on Sunday afternoon for the first time in a week. Inside, the London Knights and their fans spread some sunshine themselves with the annual Teddy Bear Toss and a 6-3 victory over Sarnia that pushed London’s winning streak to 14-games. 12 Knights players recorded at least a point during a game in which London never trailed. Josh Nelson had a goal and an assist. Matvey Guskov was the only other player to score multiple points on the London side. He had two assists. Joseph Raaymakers made his third straight start in goal for the Knights and stopped 32 of 35 Sting shots. Adam Boqvist brought down 8,763 teddy bears and other plush toys that were collected by the Salvation Army and will be distributed to more than 6,500 area children through the Christmas hamper program. The first goal will be the most talked about of the nine that went in. Blackhawks prospect Adam Boqvist backhanded his seventh of the season past Sarnia goalie Ethan Langevin to bring down the teddy bears at 16:55 of the first period and put London up 1-0. To pick up all of the bears, the teams went to the first intermission with 3:05 left in the opening period, and Franco Sproviero came out and tied the game 1-1 before that final slice of the first period had passed. Liam Foudy put the Knights ahead 2-1 at 5:53 of the second period, as he knocked in a feed from Alex Formenton while London was short-handed. The Knights got a goal from Josh Nelson as he cut to the net after a nifty pass from Dalton Duhart, increasing their lead to 3-1 after 40 minutes. Just 17 seconds into the third period, Toronto Maple Leafs prospect Ryan McGregor swung the Sting back into the game as he charged into the London zone and slipped a shot past Joseph Raaymakers. Sproviero’s second goal of the game and 100th career OHL point tied things for the second time, 6:36 into period three, but just over a minute later Antonio Stranges snapped home his sixth goal of the season for the eventual game winner. Evan Bouchard gave the Knights some insurance on another snap-shot with less than six minutes to go, before Alec Regula sealed the game with an empty-netter at 19:54. The Knights went 3-for-3 against a Sarnia power play that had been humming along at 25% since November 23. The perfect day allowed London to extend their latest streak on the penalty kill to 17 in a row. 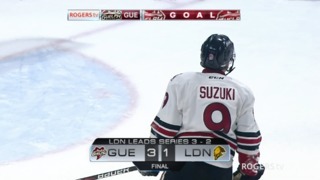 London killed off 21 consecutive opponent opportunities earlier this season, and they currently rank number one in the Ontario Hockey League with a 91% success rate. London is killing off penalties on the road at a 93.8% clip. The 2019 World Junior Hockey Championship is less than a month away, and Canada’s final selection camp roster is due to be unveiled on Monday. Some Knights names are expected to be on it. Alex Formenton won gold with Team Canada last year in Buffalo and would be an important returnee. Evan Bouchard’s name could also appear on the list, as could Liam Foudy’s. Foudy is only 18 years old and the World Juniors are always considered to be a 19-year-old’s tournament, but he played in both games of the Canada-Russia series this fall and also participated in the World Junior Summer Showcase in Kamloops, B.C. London goaltender Jordan Kooy leads the Ontario Hockey League in both goals against average and save percentage and was added to the Team OHL roster for the Canada-Russia series. Like Foudy, he is 18, and even if his name does not appear on this year’s selection camp roster, Kooy has definitely made it onto the Team Canada radar. 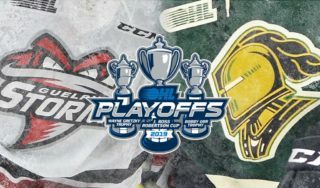 The Knights host the Kingston Frontenacs on December 7 at Budweiser Gardens. 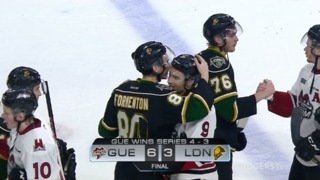 London beat the Frontenacs 4-1 in Kingston in late October in a game that saw Gerard Keane score his first OHL goal. 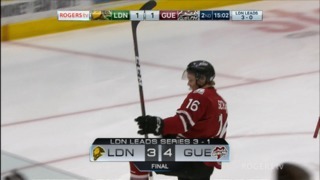 That game was also London’s first victory on their current 14-game winning streak. Kingston has lost four of their last five games and they are coming off a 5-0 defeat in Oshawa.